1779—In the largest prize value of the American Revolution, Commodore Abraham Whipple's squadron consisting of Continental frigates Providence, Queen of France and sloop Ranger, captures 11 British prizes off the Newfoundland Banks sailing from Jamaica. The cargoes are worth more than $1 million. 1792—Continental Navy Capt. John Paul Jones dies in Paris, France. A legend during the American Revolution, Jones argues for Congress establishing a United States Navy. When it fails to do so, the unemployed captain found work as a rear admiral in the Russian navy for a couple of years, but eventually returns to France, where he dies. More than a century later, his body is discovered, exhumed, brought back to the United States under huge fanfare and reburied in a magnificent sarcophagus at the United States Naval Academy. 1813—During the War of 1812, the frigate, USS President, commanded by John Rodgers, sinks the British brig, HMS Daphne, off the Irish coast. In the next few weeks, she engages three more vessels. USS President captures the ship, HMS Eliza Swan July 24, burns the brig, HMS Alert, on July 29, and captures the bark Lion on Aug. 2. 1920 - Naval aircraft sink ex-German cruiser Frankfurt in target practice. 1921—U.S. Army and U.S. Navy aircraft sink the ex-German cruiser, Frankfurt, in target practice as part of General Billy Mitchell's aerial bombing demonstration. 1943—German submarine (U 134) shoots down (K 47), the first and only U.S. airship lost during WWII, in the Florida straits. In Aug. 1943, (U 134) is sunk by British aircraft near Vigo, Spain. 1947 - President Harry S. Truman delegates responsibility for the civil administration of former Japanese mandated island to the Secretary of the Navy. 1966—Gemini 10 is launched with Lt. Cmdr. John L. Young as command pilot and Michael Collins is the pilot. The mission entails 43 orbits at an altitude of 412.2 nautical miles and lasts two days, 22 hours, and 46 minutes. 1981—USS Dallas (SSN 700) is commissioned at Groton, CT, her first homeport. The Los Angeles-class nuclear-powered attack submarine is the first to be built with an all-digital fire control and sonar system. 1992—USS Shiloh (CG 67) is commissioned at Bath, ME. The 21st Ticonderoga-class guided-missile cruiser is named after the Civil War Battle of Shiloh. In national news, the Helsinki Summit continues to dominate headlines as outlets provide additional reports and analysis on the meeting between U.S. President Trump and Russian President Putin. Program Executive Officer for Ships Rear Adm. William Galinis told USNI news that it is important that future classes of surface ships come with advanced training systems that allow maintenance sailors to practice hands-on troubleshooting. Additionally, Stars and Stripes reports that sailors assigned to the Guam-based Helicopter Sea Combat Squadron rescued a Chinese commercial mariner on Sunday. According to CNN, thousands of the world's foremost experts on artificial intelligence vowed Wednesday to play no role in the creation of autonomous weapons. In a letter published online, 2,400 researchers in 36 countries argue that such systems pose a grave threat to humanity and have no place in the world. Robespierre, a deputy from Arras, France, decides to back the French Revolution. Great Britain signs the Treaty of Orebro, making peace with Russia and Sweden. Uruguay adopts a liberal constitution. Union and Confederate troops skirmish at Blackburn's Ford, Virginia, in a prelude to the Battle of Bull Run. Inventor Thomas Edison records the human voice for the first time. The Ballot Act is passed in Great Britain, providing for secret election ballots. Ethiopian King Haile Selassie urges his countrymen to fight to the last man against the invading Italian army. General Francisco Franco of Spain revolts against the Republican government, starting the Spanish Civil War. The German Me-262, the first jet-propelled aircraft to fly in combat, makes its first flight. New Zealand and Australia announce they will pull their troops out of Vietnam. In Buenos Aires, a massive car bomb kills 96 people. Thanks to Dutch and I agree with this effort. ALCON, if you know of the heroism of then-CAPT John Ripley, USMC refresh your memory at https://www.usni.org/colonel-ripley and https://en.wikipedia.org/wiki/John_Ripley_%28USMC%29. A lot said with few words! 2,700,000 kids have a parent in prison. 400,000 kids are in foster care. if they'll see them again. I JUST discovered my age group! I am a Seenager (Senior teenager). I have everything that I wanted as a teenager, only 55-60 years later. I don't have to go to school or work. I don't have a curfew. I have a driver's license and my own car. I have an ID that gets me into bars and the wine store. (I like the wine store best). The people I hang around with are not scared of getting pregnant, they aren't scared of anything, they have been blessed to live this long. Brains of Seenager's are slow because they know so much. Seenager's do not decline mentally with age; it just takes them longer to recall facts because they have so much information in their brains. The longer the recall time the more intelligent Seenager's are. Scientists believe the brain expands according to the amount of information it contains, this pushes your hair out and makes you hard of hearing as it puts pressure on your inner ear. Also, Seenager's often go to another room to get something and when they get there, they stand there wondering what they came for. It is NOT a memory problem; it is nature's way of making Seenager's do more exercise. He said: What can I help you with? 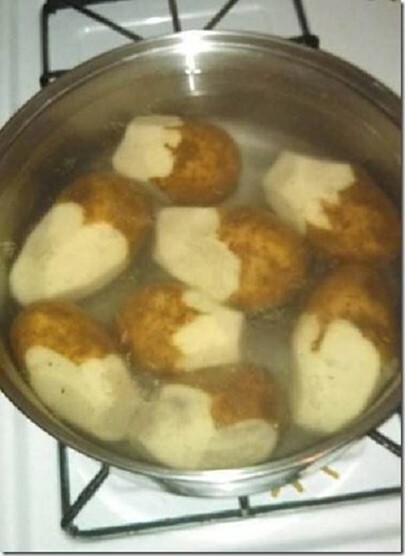 She said: Take this bag of potatoes,Peel half of them and put them in the pot. 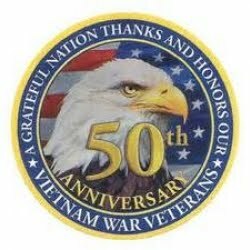 GOOD MORNING… Day EIGHT HUNDRED SIXTY-FIVE of a return to the years of an air war to the north of the bloody battlegrounds of South Vietnam where 58,000 brave American fighting men laid down their lives in good faith in a lost cause…. 17-18 JULY 1968…OPERATION ROLLING THUNDER … Ogden Standard-Examiner (AP)… (19th reporting 17 & 18 ops) Page 1: "WAR RETURNS TO THE SKIES"…"The spot light shifted back to the air war in Vietnam Thursday as ground fighting relapsed into another lull. With the threatened big Vietcong offensive against Saigon evidently delayed and with President Nguyen Van Thieu in Honolulu for a summit meeting with President Johnson, a watch and wait mood prevailed in South Vietnam. Over the southern panhandle of North Vietnam, American pilots flew 112 missions below the 19th Parallel Thursday in the continuing effort to reduce the flow of supplies to enemy troops in the South. The fliers reported destroying or damaging 28 trucks, 11 supply bases and seven bridges and touching off 171 sustained fires and 81 secondary explosions. Air Force pilots said 57 of the fires were a large military storage area about 36 miles above the demilitarized zone. WATER TRAFFIC… Marine pilots attacked the Dong Hoi airfield, believed to be used now as a supply base rather than an airstrip, while Navy pilots concentrated on highways and water traffic. … Eight-engine B-52 bombers joined in the raids above the demilitarized zone and also struck night times Thursday and today against suspected enemy bases in the central highlands and in the Mekong Delta."…. "OUR NATION SEEMS ON SKIDS AS SELF-GOVERNING PEOPLE"
"WASHINGTON– Between two summer milestones, July Fourth and Labor Day, the party conventions are supposed to give us a pair of tickets to our choice. But in this, our year of discontent, we can hardly count upon anything. Independence Day was a caution: Hubert Humphrey, booed in Philadelphia…George Wallace almost mobbed in Minneapolis…American deserters from the armed services demonstrating against their country in Stockholm… Poor People marchers performing unprintable obscenities to get themselves arrested in Washington… the President in Texas presenting self-pity to the nation he's sworn to lead…Nixon and Rockefeller laying low… McCarthy talking pacifism on the Glorious Fourth. "Have we had it? Are we finished? Historically, it is ominous that we now have two one-term Presidents in succession, Kennedy by assassination, Johnson by default. This has happened only twice before. This has happened only twice before. Between 1832-64, from Jackson to Lincoln, no president was reelected–and we had slithered into civil war. Between 1876-1896, from Hayes to McKinley, two presidents were assassinated and none succeeded himself–only Grover Cleveland was a man of parts. None of the 1968 candidates has the mark of enduring qualities. Our political bloodstream runs thin. A Harris survey conducted in mid-June suggests that our best men and women chose other professions than public life. A cross-section of the voters declared that 'leadership' was 'better' than ever in medicine (88 per cent), in science (79 per cent) and in business (64 per cent). But only 13 per cent of the panel thought political leadership was better than in the past, and 36 per cent found it worse. "By any rejection, we seem to be on the skids as a self-governing people. Do men corrupt politics? Or does politics corrupt men. You can have it either way. Lyndon Johnson, life-long politician, will leave office with a sizable personal fortune but with the Democratic party in shambles. Nelson Rockefeller, three times honored s the people's choice in New York, ducks the primaries and digs into his money-bags, as if he trusts dollars above democracy. "Where is the corruption? –is it in the professional politician? Or in the political profession? Either way we are losing the capacity of rulership that once was the boast of every July Fourth orator. "Losing it but grasping at something else. The Harris survey calls it 'the new politics' and says it focuses on 'character leadership qualities and style.' Well, that has to mean something between 'the Kennedys' and George Wallace. Eight years ago we had candidate John Kennedy. He was somewhat synthetically put together by expensive publicity as a man of character and leadership[, but he had his own 'style.' Today, the closest resemblance to JFK is New York Mayor John Lindsay who is stylish, if nothing else. And then there's Wallace. I recently wrote here, as a note of warning, that history would find fascism in Wallace's racist authoritarian appeal. I am learning by my mail that I am telling people anything they didn't already know. Item Number:2 Date: 07/18/2018 BANGLADESH - AT LEAST 200 DEAD IN DRUG CRACKDOWN (JUL 18/AFP) AGENCE FRANCE-PRESSE -- The Bangladeshi government continues to violently crack down on the drug trade, reports Agence France-Presse. At least 200 people have been killed since the crackdown began in May, a local rights group said on Tuesday. As many as 25,000 people have been imprisoned in the aggressive campaign, said Bangladeshi Home Minister Asaduzzaman Khan. The wide-ranging campaign has drawn comparisons to a similarly bloody effort by President Rodrigo Duterte in the Philippines. The Bangladeshi campaign targets yaba, a cheap and widely-available stimulant. Calling it a "war," Khan said the effort would continue until the drug trade is brought under control. All of those killed have had links to drug crimes, the minister said. Critics say many of those killed have been shot by police in cold blood. The campaign has also been used to provide cover for score-settling, it is alleged. In June, U.N. human rights chief Zeid Ra'ad Al Hussein said he was "gravely concerned" about the growing number of deaths. Item Number:6 Date: 07/18/2018 PAKISTAN - PRESIDENT HOSTS IRANIAN MILITARY CHIEF FOR COOPERATION TALKS (JUL 18/TASNIM) TASNIM NEWS AGENCY -- Iran's top military official has been meeting with Pakistani President Mamnoon Hussain in Islamabad, reports the Tasnim News Agency (Iran). On Tuesday, Maj. Gen. Mohammad Baqeri met with Hussain to discuss military education, pilot training, military drills and defense industry cooperation. Tehran and Islamabad would like to jointly manufacture defense products, said Baqeri. The general also met with Adm. Zafar Mahmood Abbasi, the Pakistani navy chief, to discuss maritime cooperation and the possibility of additional bilateral naval drills. This was the first visit by Iran's top military official to Pakistan in 40 years, noted the Tehran Times. Baqeri was invited by his Pakistani counterpart Gen. Qamar Javed Bajwa. Bajwa visited Tehran in November 2017 after 10 Iranian border guards were killed on the border with Pakistan, reported Press TV (Iran).